How do you translate a piece of Chelsea into your own garden? So you’ve been to the show and taken lots of pictures of the things that excited and inspired you, and then you returned home ready to tackle your own garden only to find yourself in a dilemma about where to start! How will you ever recreate some of the show garden magic in your own garden? Start by making a list of any specific elements that you really liked. 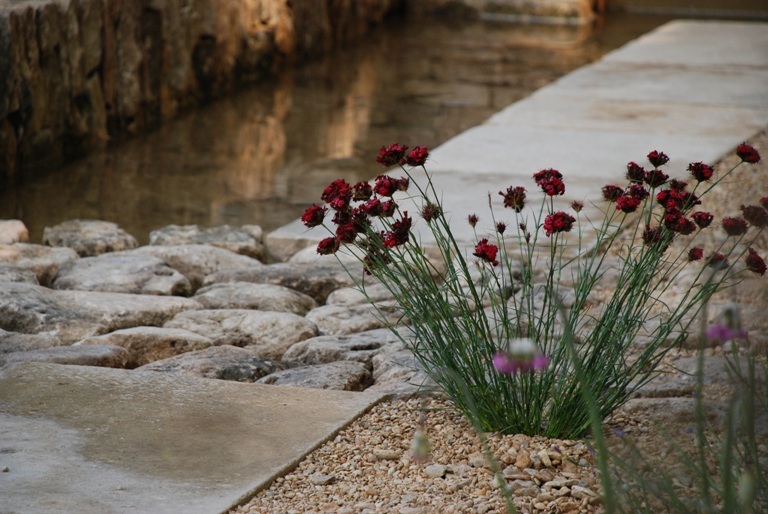 For example, I loved the stone walls and simplicity of the water feature in Cleve West’s Daily Telegraph Garden and the statement that the single dianthus plant made in the gravel beyond it. In fact the dianthus was the linking plant throughout the garden, leading the eye through the space to the bench at the end. 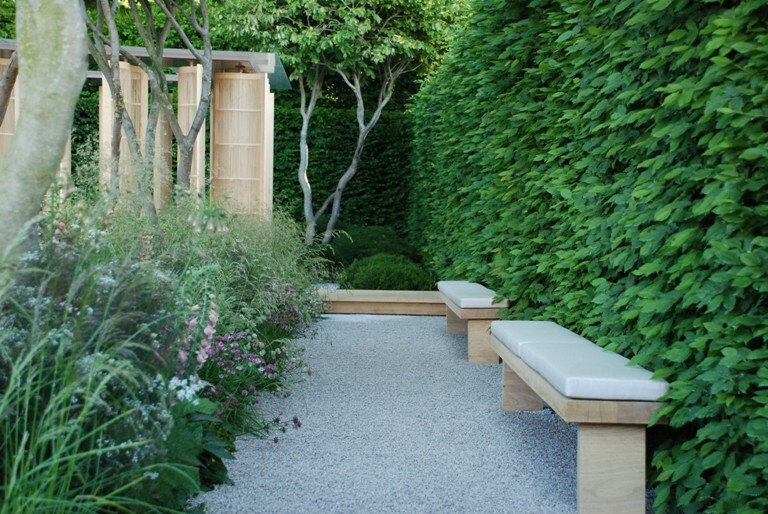 I also felt inspired by the Laurent Perrier Garden – the clean lines and simplicity produced a very strong design that was beautifully softened by the romantic planting. If you take the simplicity of the design in the Laurent Perrier garden and introduce the texture and rustic feel of the stone wall in the Daily Telegraph garden you’ll create a very different space. 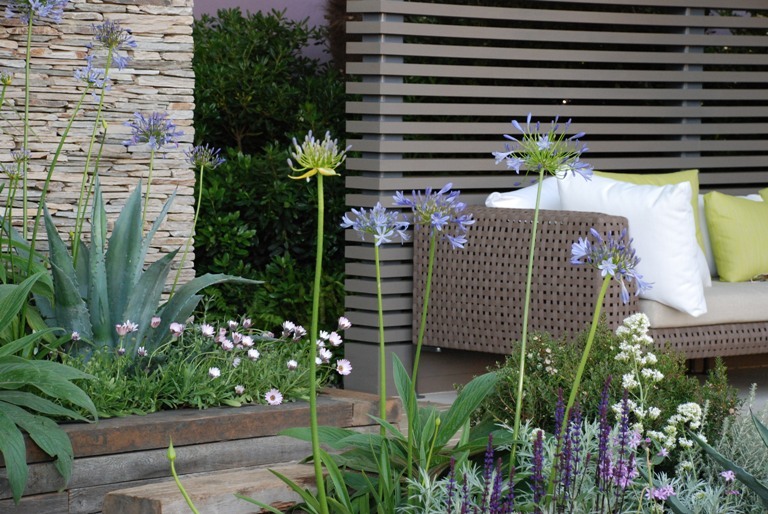 Swap the plants for more vibrant colour palette, for example, and the mood will change again. The trick is to extract your favourite bits and make them work together. The golden rule when designing gardens is keep the number of different hard landscaping materials to a minimum. 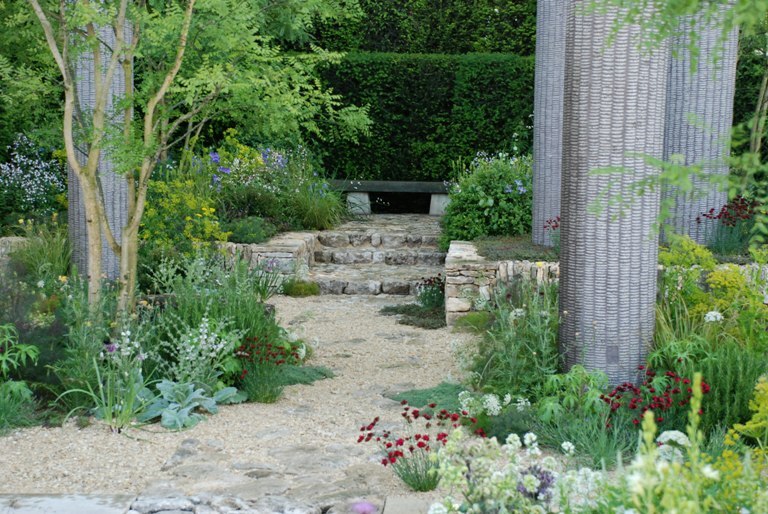 If you look at Luciano’s garden, he uses gravel for the pathways, timber for the bench and bridge at the back of the garden, and stone sculpture. The greyish colour of the gravel is warmed up by the colour of the timber but they complement each other, work harmoniously together. 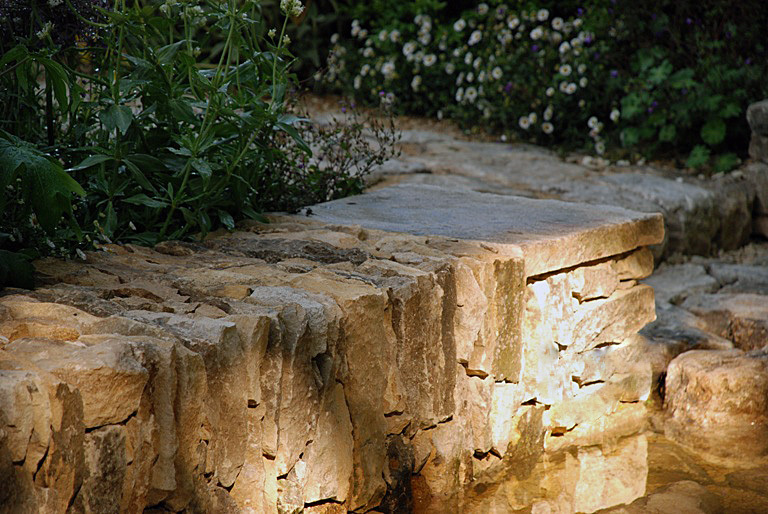 If, for example, I was looking to create a more contemporary style garden but wanted to use the natural stone to introduce some texture I could use much thinner pieces of stone that are more uniformly quarried, like the stone in the wall of the Cancer Research Garden. As you can see, the texture of the stone wall is neat and uniformed but links the contemporary style of the furniture, wall behind it and polished sandstone paving (although you can only see a glimpse of this here) perfectly to the rustic timber sleeper raised beds.